1. Point : نقطہ : (noun) a geometric element that has position but no extension. A point is defined by its coordinates. Intersection, Intersection Point, Point Of Intersection - a point where lines intersect. 2. Point, Designate, Indicate, Show : کسی جگہ کی نشان دہی کرنا - اشارے سے بتانا : (verb) indicate a place, direction, person, or thing; either spatially or figuratively. He pointed to the empty parking space. 3. Point, Charge, Level : تاننا - نشانہ باندھنا : (verb) direct into a position for use. 4. Point, Detail, Item : تفصیل : (noun) an isolated fact that is considered separately from the whole. Fact - a piece of information about circumstances that exist or events that have occurred. 5. Point, Channelise, Channelize, Direct, Guide, Head, Maneuver, Manoeuver, Manoeuvre, Steer : راہ دکھانا - سمت اندازی کرنا : (verb) direct the course; determine the direction of travelling. Sheer - cause to sheer. 6. Point, Bespeak, Betoken, Indicate, Signal : ظاہر کرنا - علامت کی نشان دہی کرنا : (verb) be a signal for or a symptom of. Her behavior points to a severe neurosis. 7. Point, Point In Time : وقت : (noun) an instant of time. At that point I had to leave. Amount, Measure, Quantity - how much there is or how many there are of something that you can quantify. 8. Point : موضوع : (noun) the object of an activity. What is the point of discussing it? Aim, Object, Objective, Target - the goal intended to be attained (and which is believed to be attainable). 9. Point, Dot : نقطہ : (noun) a very small circular shape. Disc, Disk, Saucer - something with a round shape resembling a flat circular plate. 10. Point, Aim, Direct, Place, Target : طرف کرنا : (verb) intend (something) to move towards a certain goal. 11. Point, Item : شے - چیز : (noun) a distinct part that can be specified separately in a group of things that could be enumerated on a list. The main point on the agenda was taken up first. List, Listing - a database containing an ordered array of items (names or topics). 12. 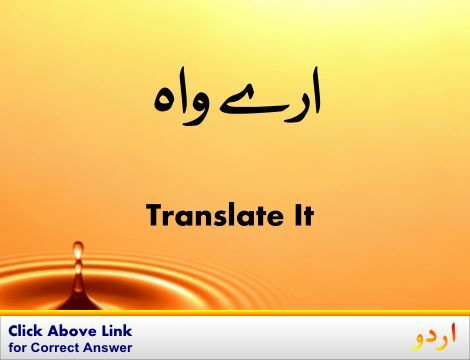 Point, Sharpen, Taper : نوک بنانا : (verb) give a point to. Acuminate - make sharp or acute; taper; make (something) come to a point. 13. 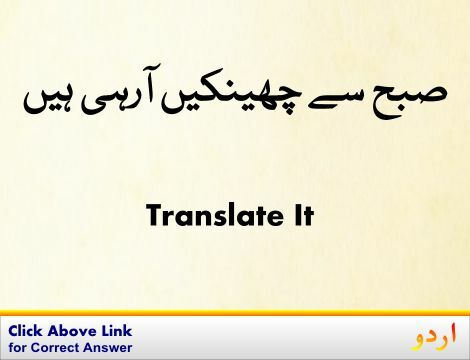 Point : نوک : (noun) sharp end. He stuck the point of the knife into a tree. He broke the point of his pencil. Arrowhead - the pointed head or striking tip of an arrow. 14. Point, Full Point, Full Stop, Period, Stop : وقف لازم : (noun) a punctuation mark (.) placed at the end of a declarative sentence to indicate a full stop or after abbreviations. 15. Point, Decimal Point, Percentage Point : نقطہ اعشاریہ : (noun) the dot at the left of a decimal fraction. 16. 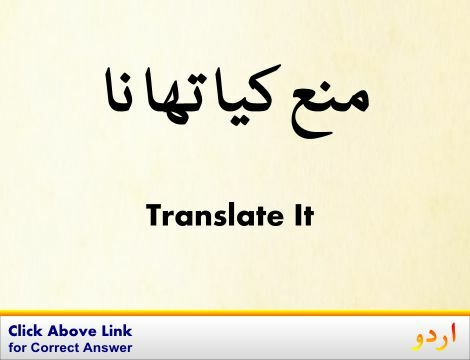 Point, Pointedness : تیز دھار پن : (noun) the property of a shape that tapers to a sharp tip. 17. Point : صفت : (noun) a distinguishing or individuating characteristic. He knows my bad points as well as my good points. Characteristic - a distinguishing quality. Point In Time : وقت : an instant of time. Pogey : حکومتی امداد : money received from the state. How this page explains Point ? It helps you understand the word Point with comprehensive detail, no other web page in our knowledge can explain Point better than this page. 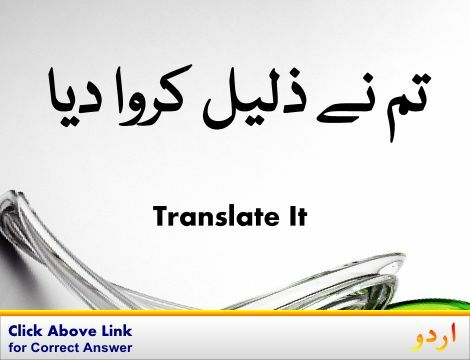 The page not only provides Urdu meaning of Point but also gives extensive definition in English language. The definition of Point is followed by practically usable example sentences which allow you to construct you own sentences based on it. You can also find multiple synonyms or similar words on the right of Point. All of this may seem less if you are unable to learn exact pronunciation of Point, so we have embedded mp3 recording of native Englishman, simply click on speaker icon and listen how English speaking people pronounce Point. We hope this page has helped you understand Point in detail, if you find any mistake on this page, please keep in mind that no human being can be perfect.